First contact at the reception through telephone- very friendly receptionist which gives one the assurance of 24 hours of good service. First impression of the hotel- small reception, small lobby, helpful staff who gave me a city map of Berlin. I love the old style elevator - my sister saw it from the hotel´s website, old style winding stairs. A naturally fresh smelled big gang that welcomes me leading to a narrow well lit gang- lights turns on by moving which leads me to my room. As I opened the door, I was surprised by a big spacious room with old paintings of a concert in early 1900, tall ceiling with chandeliers, wide double windows, a recamier, wooden floors with huge carpet. I thought small lobby, small reception but big, spacious clean room. 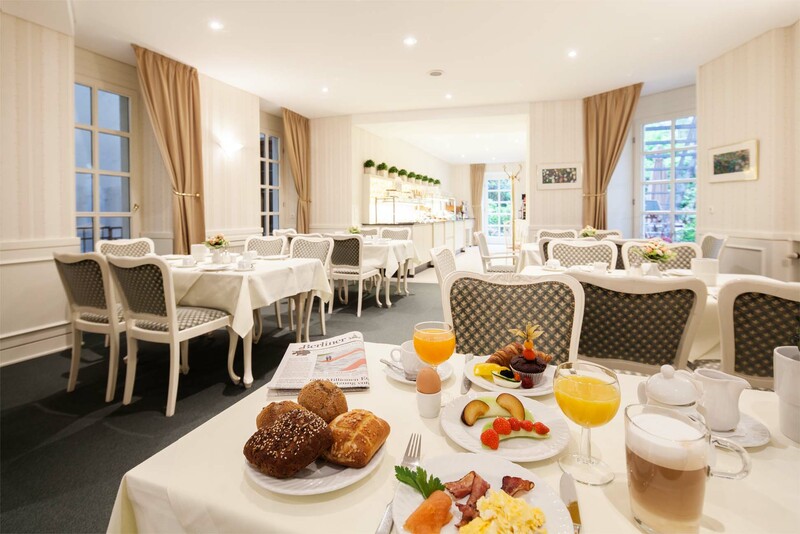 Excellent breakfast, hotel is just 2 blocks away from the Post, 300 meters away from a grocery, few steps away from the underground trains, 5 minutes from Central bus stations, Restaurants are all very close.